It is a story everyone knows, about a woman no one remembers. With libretto by Marie Clements, music by Brian Current, Gitxsan materials by Vincent Gogag (Gawa gami), directed by Peter Hinton, and produced by Janet Lea and Nora Kelly, this may be the most important work we have ever done. It is a co-production with Pacific Opera Victoria, in partnership with Vancouver Moving Theatre. Missing will be performed at The York Theatre on Commercial Drive at E Georgia. A special, free performance will be given in the DTES on November 1 for the families only, by invitation, in partnership with Vancouver Moving Theatre and the DTES Heart of the City Festival. Please act soon. The run at Pacific Opera Victoria, beginning on 17 November, has already sold out. 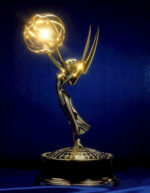 Fallujah, our 2012 anti-war opera, as told from the vantage of two mothers on either side of that terrible conflict, has just won a Los Angeles Emmy Award. The 2016 production of Fallujah, given by our friends at Long Beach Opera, and later at New York City Opera, was documented by public broadcasting in LA. They have just won an Emmy for their superb work. Congratulations to FALLUJAH OPERA: ART, HEALING, AND PTSD, KCET. Matthew Crotty, Producer; Juan Devis, Executive Producer; Jordan Wayne Long, Producer, and Kim Spencer, Executive Producer. They have just awarded us a major grant in support of our expanded concert series. Their funds will allow us to move further afield, and to reach more people where they live. To date, City Opera has given 107 concerts. It is our principal work between mainstage productions. Good news coming about an expanded network of community partners. Join us for a night of craft beer, local food, and opera! October 3, 2017 from 6-10pm at the Tap & Barrel in Olympic Village. Here's a map. Hope to see you there!